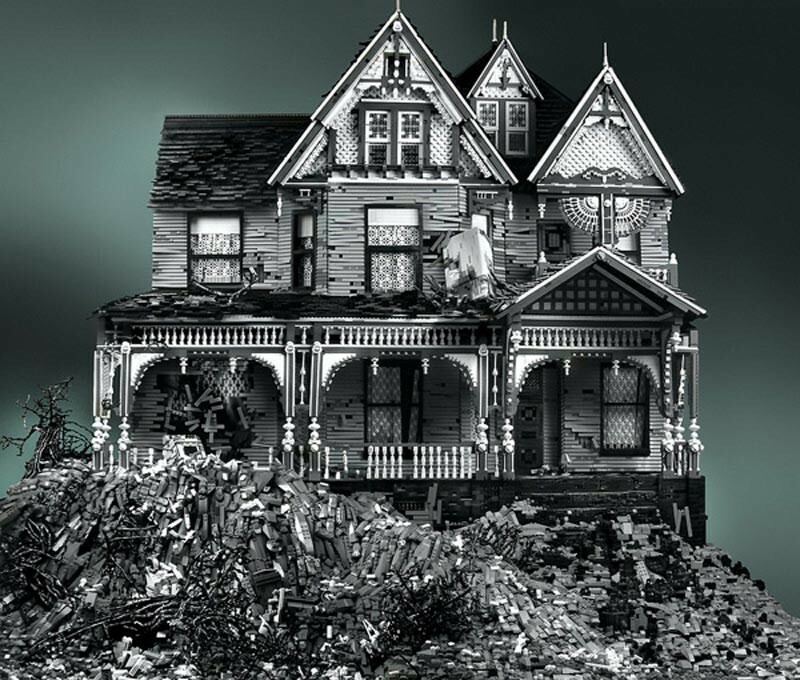 One look at graphic designer Mike Doyle's creepy Victorian mansions sends a shiver up our spines. But the spooky factor of the ominous abodes is overshadowed by our appreciation for the painstaking details that went into their immaculate construction. For instance, his 'Victorian on Mud Heap,' the third installment in his abandoned house series, measures a towering 5.5' x 6' x 3' and is comprised of 130,000 pure, unaltered LEGOS. No paint, no glue, and no wood was used to erect this giant feat of fear, which took Doyle over 600 hours to build! Doyle’s Three Story Victorian with Tree was the second house he built in his original series. It measures 5′ x 3′ x 2′, and is made up of between 50,000 to 60,000 LEGO pieces. This masterpiece took Doyle about 450 hours to build. Learn more about the mastermind behind these towering creations. Here’s an interview with Mike Doyle on Brick by Brick. The term is LEGO, not LEGOS. Lego is the same plural as singular. The Lego site even has something that talks about that, IIRC. The artist describes his Two Story with Basement: "To my eyes, patterns of decay find a more pleasing path than an untouched object. 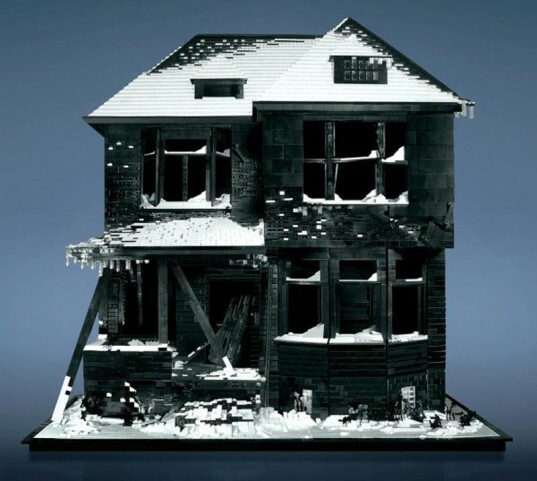 A roof collapsed by the weight of snow, side shingles ripped by the force of winds, substructures rotting, insects and weather gnawing the exposed surfaces. I can picture those windy days where a shingle flies off. Or the sudden creaking, cracking and burst of tinder giving way under snow's heavy hand." Doyle's Three Story Victorian with Tree was the second house he built in his original series. It measures 5' x 3' x 2', and is made up of between 50,000 to 60,000 LEGO pieces. This masterpiece took Doyle about 450 hours to build. Victorian on Mud Heap next to the detailed view of a burnt out window from Three Story Victorian with Tree. Learn more about the mastermind behind these towering creations. Here's an interview with Mike Doyle on Brick by Brick. A rickety set of stairs leading up to the Three Story Victorian with Tree. More than just models, Doyle's creations are a representation of life's lessons. He offers, "...of particular interest to me in this work is the notion of broken trust and faith. Foundations give way. Permanence transmutes into fragility. Our safe havens betray us." This is grass and an uprooted tree in front of Three Story Victorian with Tree. Remember: nothing here but LEGOS!